A pain-free energy measurement of the body based on Chinese meridians. Used for early detection of diseases and deficiencies. More than 5,000 years ago, the Chinese discovered that all ailments could be traced back to a disturbed energy flow in the human body. Specific measurement of cardiac activity taking the unconscious nervous system (sympathetic) and autonomic nervous system (parasympathetic) into account. If a balance exists, one speaks of a good variable heart rate. Risk assessment for heart failure e.g. after stress (energy reserves). Improper diet often causes problems for the body and immune system disorders of gut-associated. Very helpful for weight reduction. “Death is in the gut” – We say: “Life is in the gut” and improve the gut-associated immune system. Analysis for the detection of hormone, vitamin and mineral deficiencies. Detection of toxicity of the body and / or deficiencies. Cancer cells derive their energy almost exclusively from glucose in the cells and have a high concentration of insulin receptors at their outer core. 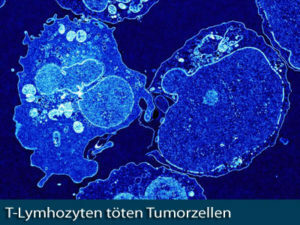 The forced hypoglycaemia makes the membrane of cancer cells more permeable. During this phase, glucose and low dose chemotherapy are infused together, causing virtually no damage to healthy cells. We are engaged in a research project together with the State University of Moscow, where the relationship between risk of cancer and genetic s is being studied. Meanwhile we have obtained an intermediate result that received worldwide attention. We have already been able to identify persons with high risk of disease using a special genetic examination process. Targeted biological therapies can reactivate and support the body’s defense in order to reduce the potential genetic risk in these patients considerably.